A Ramsey County judge on Tuesday ordered the depositions of Archbishop John Nienstedt and former top deputy Rev. Kevin McDonough within 30 days. The ruling by Judge John Van de North comes in a case brought by a man who says he was sexually abused by the Rev. Thomas Adamson in 1976 and 1977. 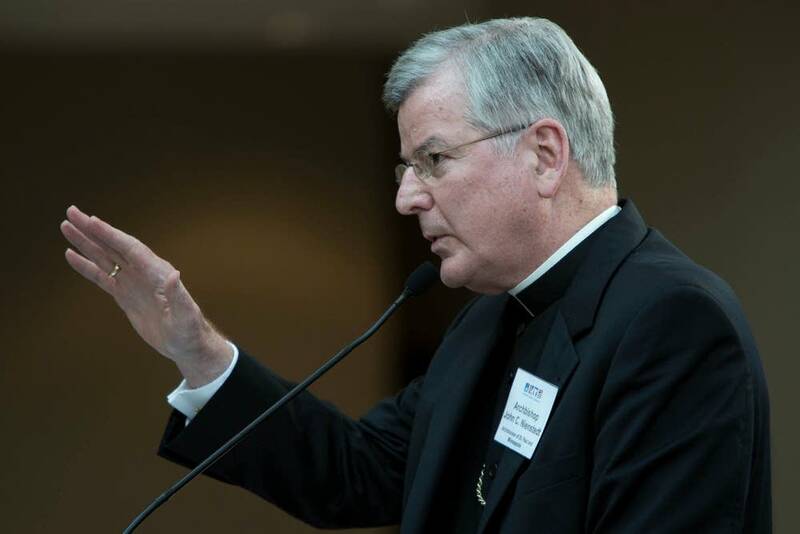 Nienstedt will be questioned on the policies and practices of the Archdiocese of St. Paul and Minneapolis in handling abuse allegations, including whether the archdiocese followed its own policies. McDonough will face questions about the archdiocese's handling of the allegations against Adamson decades ago. Van de North said the depositions could help victims' attorney Jeff Anderson find evidence of any "patterns and practices" by top church leaders in handling abuse claims. Although his rulings today apply only to this lawsuit, "it's hard not to see it as a bellwether case," Van de North said. Nienstedt and McDonough have stayed out of the public eye in recent months as the clergy sexual abuse scandal widened. In December, the archdiocese said that Nienstedt would "voluntarily step aside from all public ministry" after someone within the church reported an allegation to police that Nienstedt inappropriately touched a boy during a group confirmation photo in 2009. Police are still investigating that claim. McDonough has retained a lawyer and has declined to talk to police officers investigating the archdiocese's handling of abuse allegations, according to St. Paul Police Chief Thomas Smith. Van de North noted that retired Archbishop Harry Flynn led the U.S. Catholic Church's response to the clergy abuse scandal a decade ago and drafted its national policy on clergy sexual abuse. He said he didn't know why those policies would not therefore be followed. Van de North also ordered the archdiocese to turn over to the court the names of all priests accused of child sexual abuse since 2004. The names can be provided under seal, which means they would be kept private. However, Van de North said the man who brought the lawsuit could ask the court to unseal the list. The judge previously ordered the archdiocese and the Diocese of Winona to disclose the names of all priests deemed "credibly accused" of child sexual abuse that were included on an earlier list. Church officials released those names on Dec. 5. In a statement released after today's hearing, the archdiocese said it "looks forward to working with the court and all affected parties to promote the protection of children, the healing of victims and the restoration of trust. "At the same time, we strongly assert our pursuit of justice for any who are falsely accused. All of these goals are the basis for every action and decision we are making regarding this ongoing disclosure."